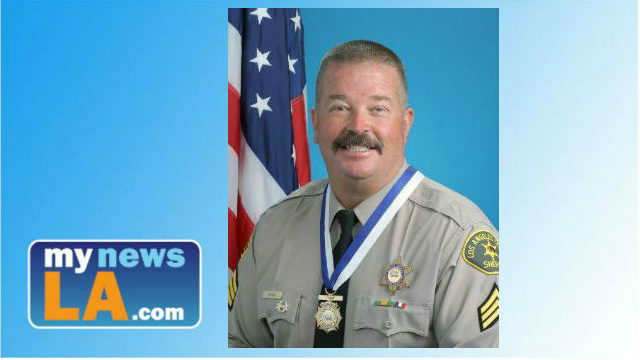 A civilian-led candlelight vigil will be held Saturday evening in memory of sheriff’s Sgt. Steve Owen, who was fatally shot while responding to a burglary call in Lancaster. The vigil will begin at 5 p.m. and last until 11 p.m., and Lancaster Boulevard will be closed to all vehicles between Sierra Highway and Gadsden Avenue, according to the Los Angeles County Sheriff’s Department. Owen, 53, a decorated 29-year sheriff’s department veteran who served as a sergeant in the Lancaster Station for the past five years, was killed around 12:30 p.m. Wednesday in the 3200 block of West Avenue J-7 where he had responded to a burglary report. He was shot when he confronted suspect Trenton Trevon Lovell, 27, a parolee now in custody and charged with capital murder, authorities said. Owen’s death has sparked an outpouring of condolence and grief, with many in the Antelope Valley praising him for his service, conduct and community involvement.